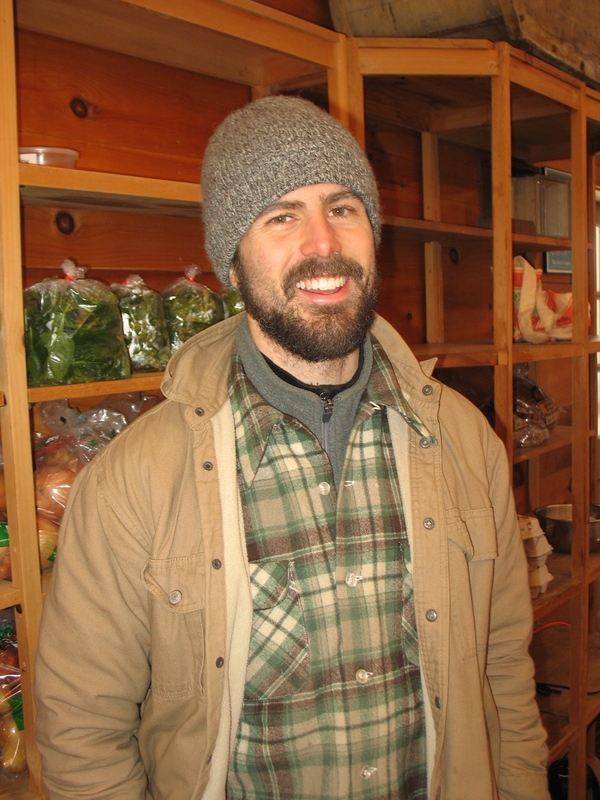 Alex McCullough, who manages the Winter Market for Harlow Farm, also runs the farm’s kitchen and grows the specialty crops for Harlow Farmstand not grown by the wholesale side of the farm. It’s his first year with the Winter Market, and he’s enthusiastic about where it’s going. “My main goal is to make it an even better, more exciting experience for our members. That means, first of all, doing our best to provide the items that members want, when they want them. I’d also like to make the winter market a forum for community members to interact with and learn from one another —about recipes, unusual vegetables —and to get to know Harlow Farm and other local producers better, if they want to. 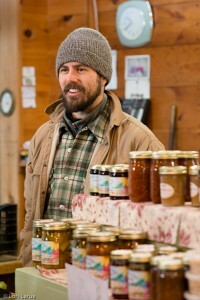 Alex is also in charge of the farm kitchen, where he preserves and cans much of farm’s produce, including jams, salsas, dilly beans, and frozen vegetables. Alex grew up in Corvallis and Portland, Oregon, and attended the University of Oregon, first studying computer science, then transitioning to environmental studies and French. In 2012 he got a master’s in agroecology from the University of Wisconsin-Madison.